This is where a formative Cat Stevens lived. 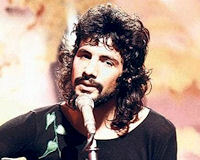 Description: Cat Stevens was born Steven Demetri Georgiou, youngest of three siblings, here in Soho/Bloomsbury in 1948. His Greek Cypriot father and Swedish mother ran a restaurant, the Moulin Rouge, here (todays its called Alfred's), and the family lived in the small flat upstairs. 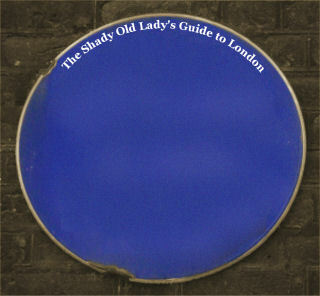 The children went to a Roman Catholic school in nearby Drury Lane and sat in middle of the swinging London sixties it's not surprising that he took an early interest in pop music. When The Beatles exploded on the scene the 15-year-old persuaded his father to buy him a guitar and, after a half-hearted attempt at forming a group, decided to embark upon a solo music career. In July, 1964, while still a student at Hammersmith Art College, he made his first public appearance adopting the name Cat Stevens (because a girlfriend had told him he had eyes like a feline). The following year he and his brother hawked his songwriting work around nearby Denmark Street and eventually secured a publishing deal, selling The First Cut Is The Deepest for 30 (and became a huge hit for PP Arnold) and Here Comes My Baby, (a massive hit for the Tremeloes).